Sumarsam, a keen amateur puppeteer (dhalang) of wayang puppet play, has played Javanese gamelan since childhood. His research on the history, theory, and performance practice of gamelan and wayang, and on Indonesia-Western encounter theme, has resulted in the publication of numerous articles and two books, most recently Javanese Gamelan and the West (2013). His recent research focuses on the intersections between religion and performing arts. Examining discourses of transculturalism, the performing arts and Islam among the Javanese, Sumarsam recently completed field and archival research in Indonesia under the auspicious of the National Endowment for the Humanities (NEH) and the American Council of Learned Societies (ACLS) fellowship grant. 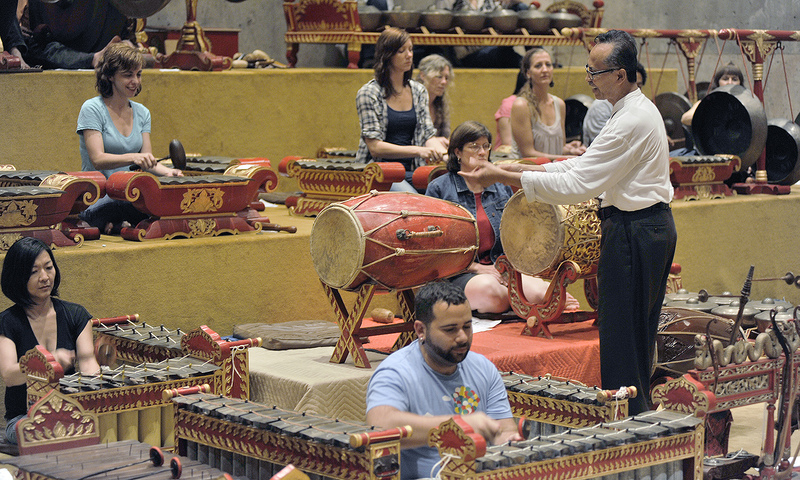 Sumarsam will receive the Maestro Award Sept. 28 in Jakarta with Wesleyan alumni and friends in attendance.